The used Ford Ka is based on the Fiat 500 but, with its modified suspension, the Ka is more enjoyable to drive than its Italian cousin. Aimed squarely at young ladies, the used Ford Ka offers two small engines, a 67bhp 1.2-litre petrol and a 74bhp 1.3-litre diesel, neither of which sets the tarmac alight, but they work pretty well around town. The diesel returns a remarkable 67mpg, while the petrol's not far behind at 55mpg and offers a better driving experience. There's a great ride to be had, and the used Ford Ka is quick through corners. On the kit front, all models apart from the entry-level Studio have electric windows and central locking. 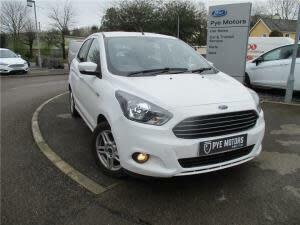 Beyond that, the Edge trim gives you air-con and the Zetec has a sporty feel. The range-topping Titanium supplies two airbags, there are accessories galore and four slightly offbeat Individual trims that come with unique interiors and an elevated price tag. For a real bargain, try the pre-2009 used Ford Ka, still a stylish and responsive option.